New Horizons is expected to reach the closest distance to Pluto on July 14. The day when NASA’s space craft flies by the dwarf planet of our solar system is finally here. 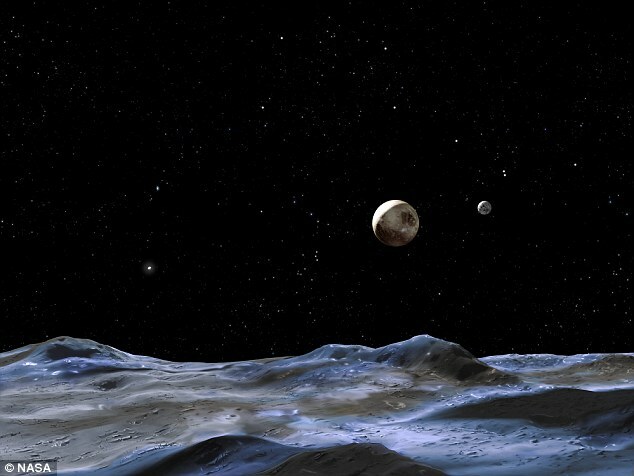 According to scientists’ recent declarations, New Horizons gets closer to Pluto. Pics reveal many more interesting facts as the distance between the spaceship and the planet becomes increasingly smaller. NASA has been waiting for this moment for a long time, that is, the opportunity to closely study the surface of the dwarf planet Pluto with the help of its spacecraft New Horizons. The closest distance will be reached two months from now, when New Horizons will get as close as 12,500 km to the celestial body – the closest that NASA has ever been to another planet. Experts were forced to correct the direction of the space system on June 14 because data analysis indicated that the space gear would have missed the encounter. Scientists have now concluded that all errors have been solved and the encounter is due to take place as previously established on July 14. The satellite images that the space mission is currently sending on Earth have enabled astronomers to discover many more interesting facts about Pluto and its orbiting moons. Apparently, the dwarf planet and its massive moon, Charon have similar behavior, but different colors. Charon is, according to the pics, darker than Pluto, but researchers cannot provide a good explanation for this phenomenon at the moment. The studies that they previously effected on the surface of Saturn’s moon suggest that Charon, too, might have a two-toned structure. Nevertheless, the hypothesis has to be grounded on real facts, so further studies are required. New Horizons has captured many revealing images, so far. One of them signals the presence of an interesting spot at one of Pluto’s poles. The space administration hopes that the mystery of the bright spot will be solved as soon as New Horizons reaches the closest approaching distance. The study of Pluto’s space movements has led scientists to conclude that the dwarf planet and its moons do not revolve in the same direction. While Pluto follows its usual trajectory through space, its moons appear to rotate themselves uncontrollably. It remains to be seen what the effects of this particular rotating trajectory are. In the end, scientists have further declared that Pluto has massive mountain range that will most certainly be closely studied once New Horizon gets closer to the planet. So far, they seem to be higher than the highest peaks that we have seen on Earth.